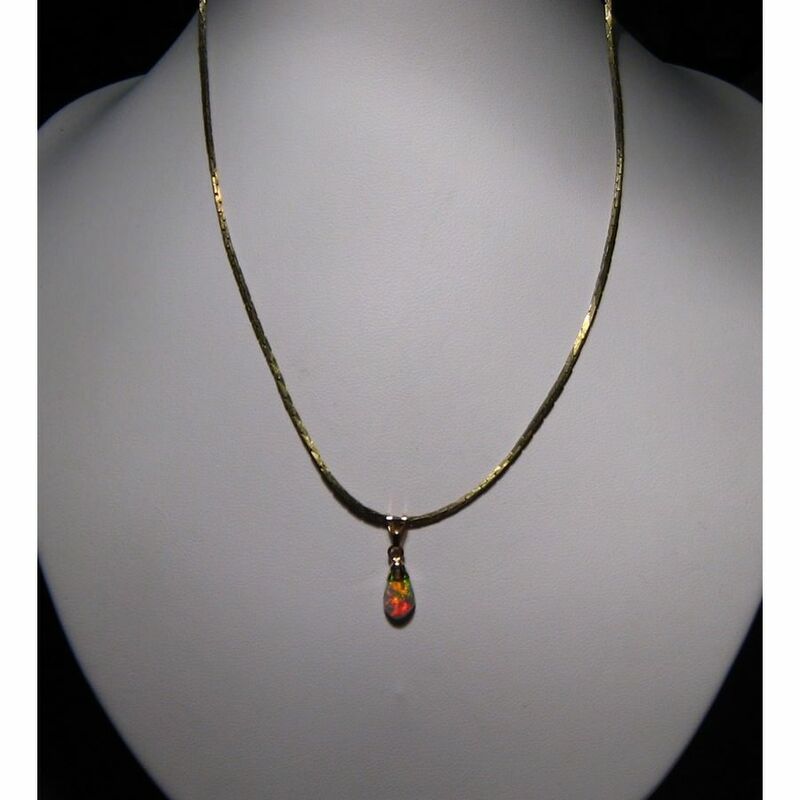 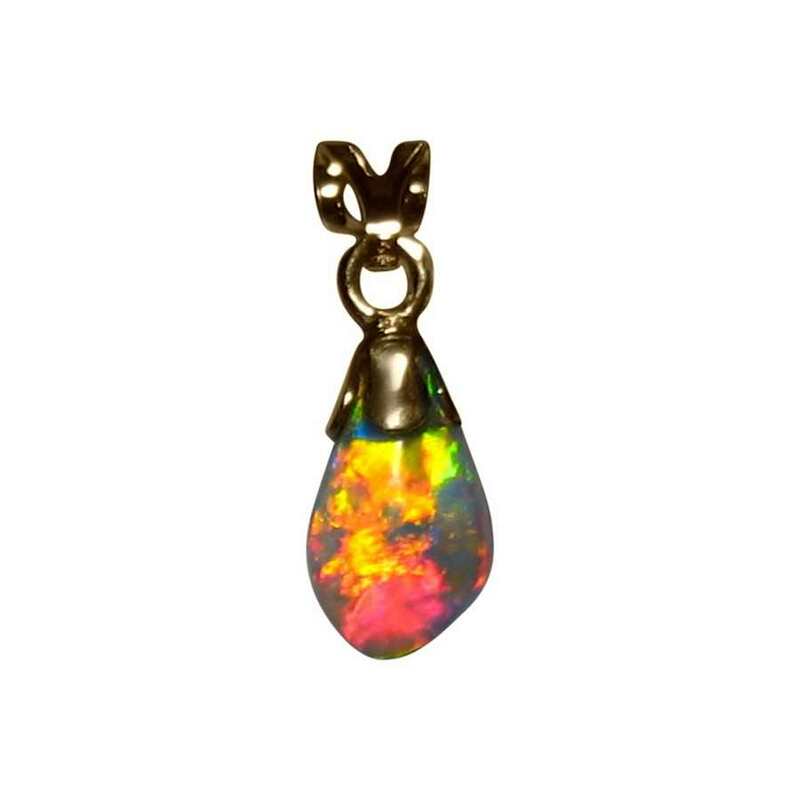 Real Black Opal pendant with very bright colors in 14k Yellow Gold. 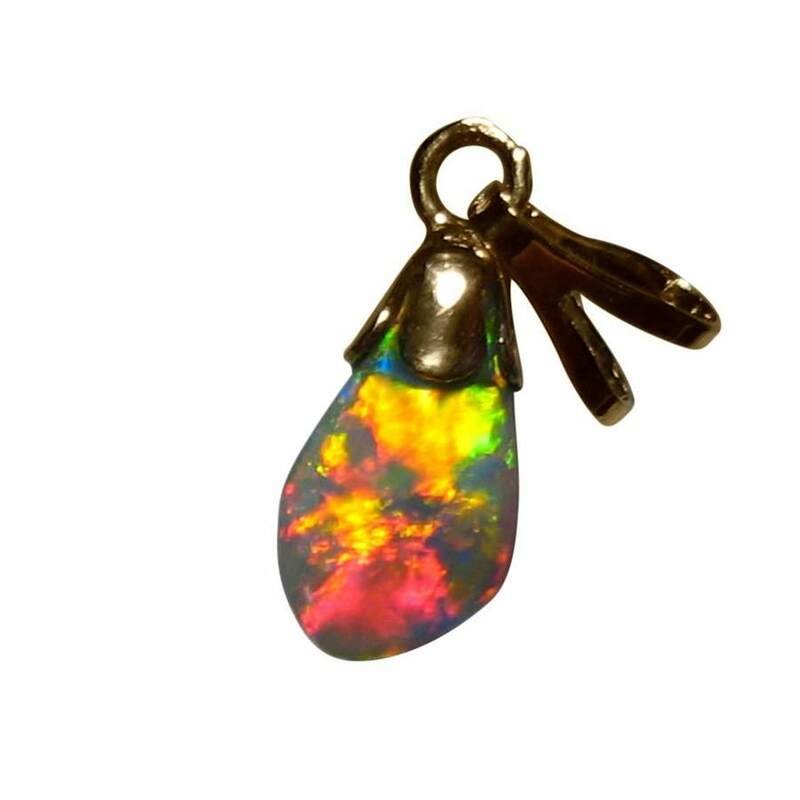 This Opal Pendant features a natural Lightning Ridge Black Opal that is both very bright and colorful despite being small. 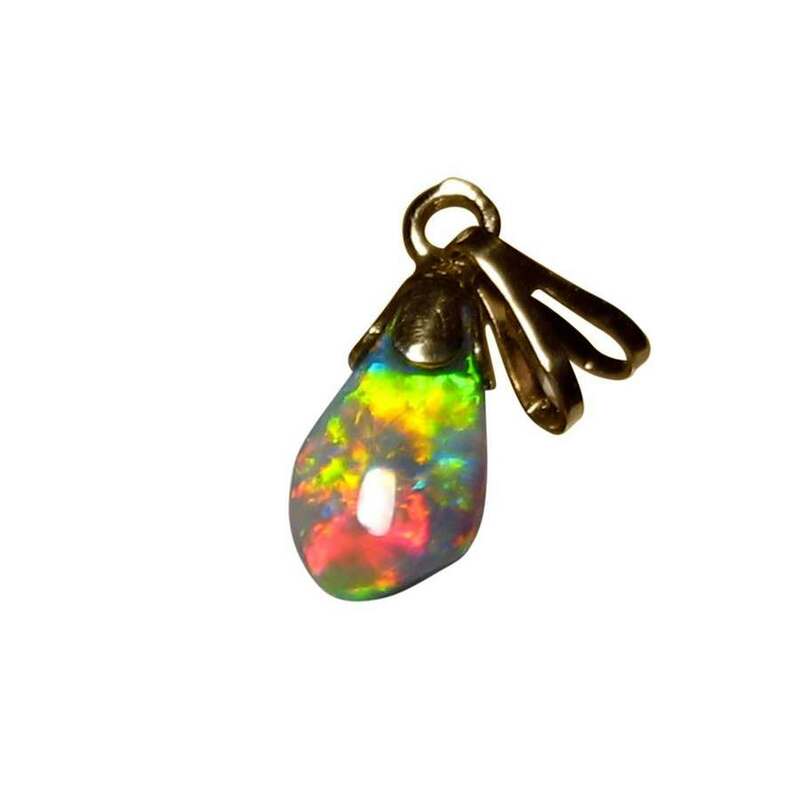 Free form oval in shape, the face of the opal has been polished with the back left in its natural state confirming a real genuine Australian Black Opal. 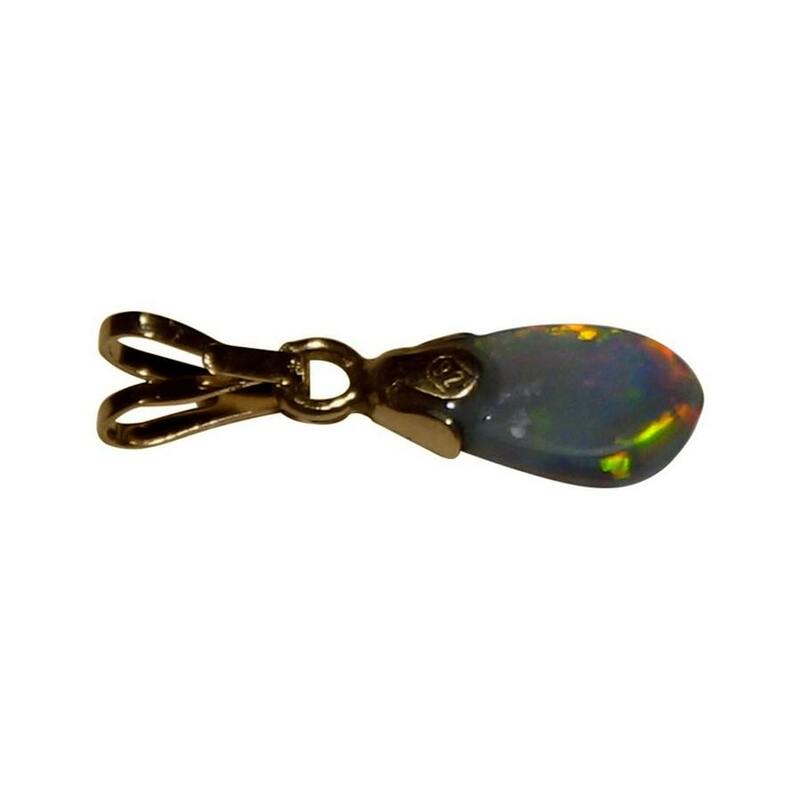 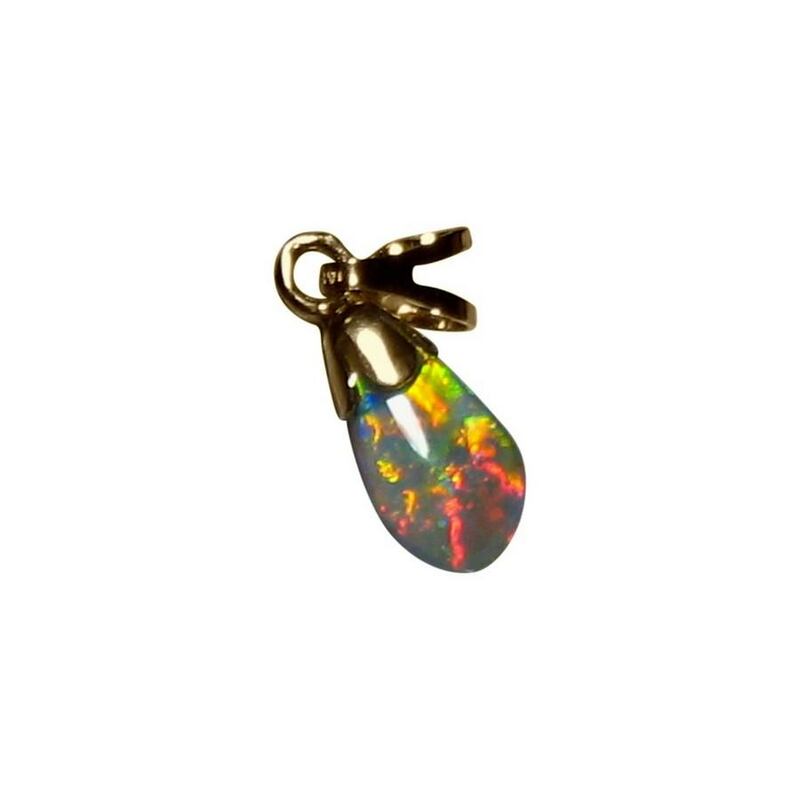 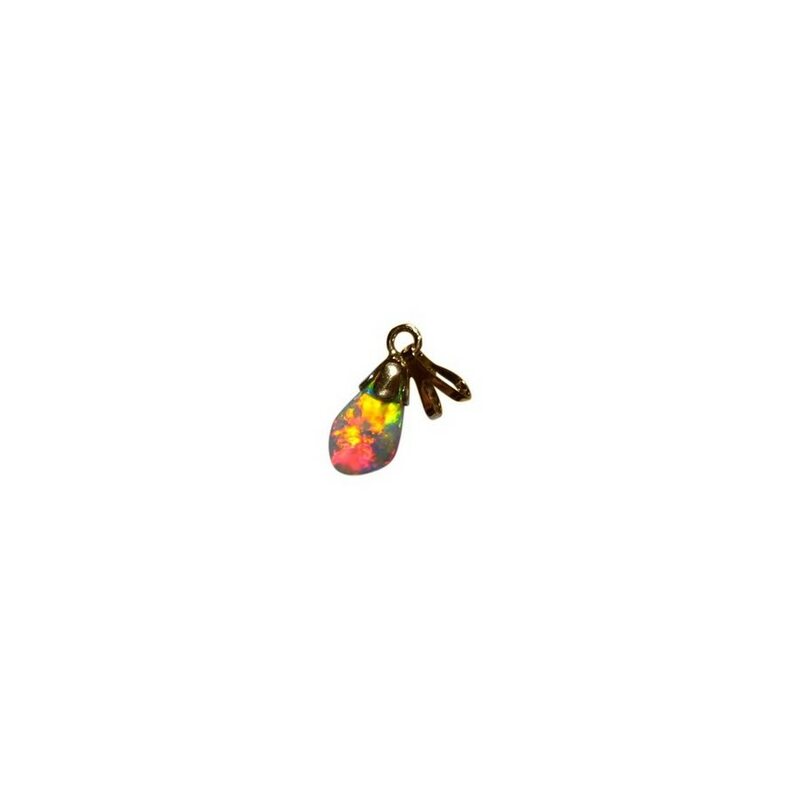 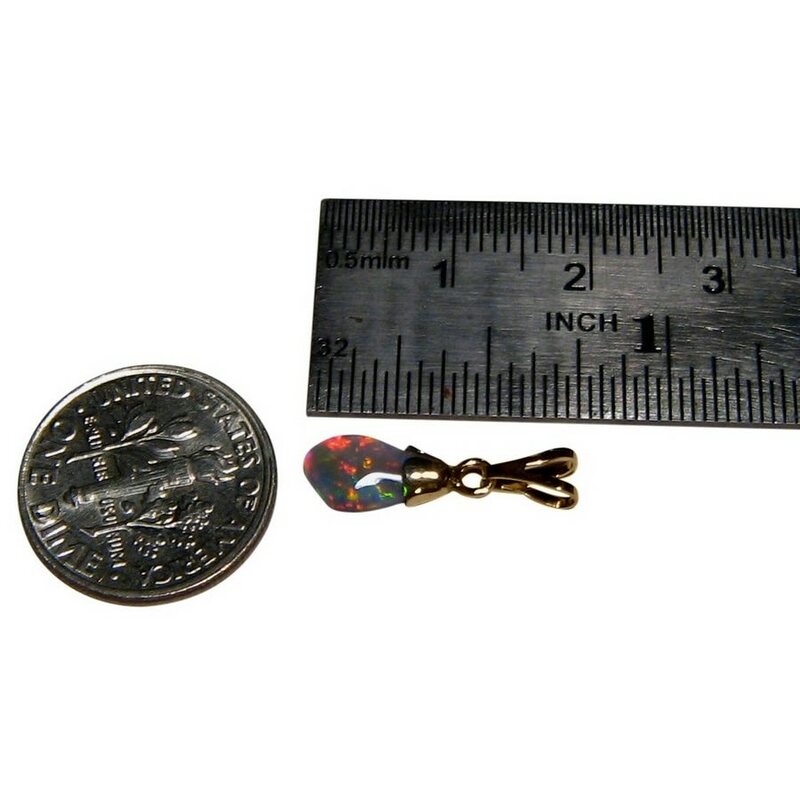 Finished off with a 14k Yellow Gold bell cap and bale, simply add your own gold chain or buy this opal pendant charm as a gift for an October Birthday.